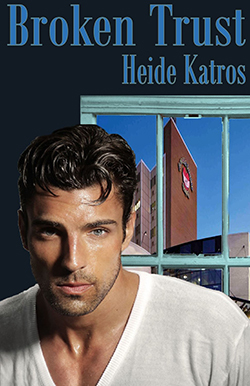 Heide Katros was born and raised in Germany near the French border. She traveled extensively throughout Europe and met her pharmacist husband while on vacation to the Isle of Rhodos, Greece. Heide and her husband Mitch are the parents of two grown sons and grandparents to Alex and Anna. They live in Winter Haven, Florida. Heide is an avid tennis player, while her husband enjoys golf. Heide's very first book, award winning Bewitching Angel was published in 2002 by New Concepts Publishing in Lake Park, GA.
All of Heide's published books are available through Amazon Kindle, Barnes & Noble's Nook and are also available in not only the U.S.A, but also in Australia, Europe, Canada and the United Kingdom. Or you can simply download them from this website. All e-books are formatted so you can read them on your computer, your laptop, your iPad, your iPhone or any e-reader. Some books are also available in print. Just check it out under Books. 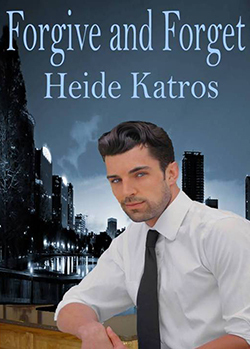 Heide would appreciate hearing from her readers. [email protected]. Nothing makes an author's day more perfect than to have a reader write and tell her that they loved her books. FORGIVE AND FORGET ~ Now available! Six months have passed since Chase proposed to Kyra and she turned him down, mainly because he is her boss. Since then they've dated exclusively, but remembering Kyra's rejection Chase is hesitant to ask her again. Still tonight he plans to give it one more try. He tells her that he has a special evening planned, but has to take care of some business before. He never shows. He doesn't call, and Kyra believes that he has backed out and is too cowardly to tell her that it is over. After she stews several days, she marches into Phillips Innovation with her resignation in hand. That's when she finds out that Chase has been missing since that evening. Shocked she starts to file a missing person's report, when a police officer catches a glimpse of Chase's photo and remembers that's he'd picked him up badly beaten some days earlier. When Chase wakes up in the hospital, he soon realizes that he lost some of his memory. He doesn't even remember Kyra. 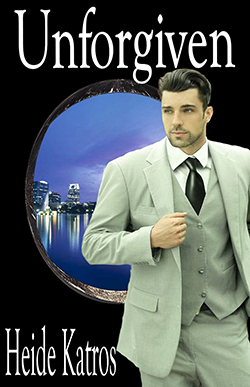 Warned to allow Chase to recall the course of events by himself, everyone tiptoes around him. But someone takes advantage of the situation to blackmail Kyra into committing industrial espionage. When she refuses she is told that Chase's life hangs in the balance and not to forget about the death of a former employee. 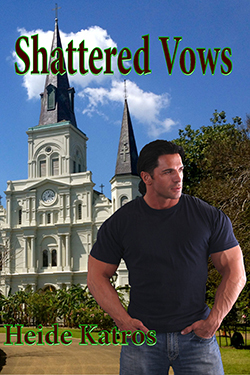 It all comes to a head when Kyra accepts an invitation to fly to New Orleans with Chase. SHATTERED VOWS ~ Now available! Unable to face Les with the truth Careena does the one thing she does best during situations she can't handle. She runs back to her native Louisiana hoping to find a solution to the dark secret she is hiding from her husband. She knows she made a crucial mistake and it is costing her dearly. If only she had listened to Les. Instead she leaves a note behind telling him she has filed for divorce. Les is shocked to come home to an empty house and a notice that Careena is breaking off their marriage. Angrily, he tosses the letter aside. But as days stretch into weeks, he realizes how much he misses her. It's not until he commits a terrible slip-up himself before he comes to his senses and decides that he will go after her, if for no other reason than to satisfy his curiosity about why she bolted. During this trying time Paolo bumps into freelance journalist Kirsten Cooper, who is on her way up to the children's ward in pursuit of a story. There is an instant connection between the two. But neither Paolo or Kirsten are strangers to prejudice and distrust. And because both have been subjected to suspicion and broken promises they face tough hurdles to overcome in their budding relationship. BROKEN TRUST ~ Now available! Paolo Suarez is finishing his hospital residency in three months and he is counting the days. Dedicated to the welfare of his patients, he is shocked when he is told that someone filed a malpractice complaint against him. Someone? Who has it in for him and why? And why the secrecy about the accuser's identity?